Being a fly fishing guide since 1981 (37-years), I am still amazed at how few anglers are prepared to sharpen their own hooks. Sharp hooks result in fish pictures. Dull hooks often result in fish stories about the big one that got away. Dull hooks are as useless as dull knives. Both are the result of incompetence. 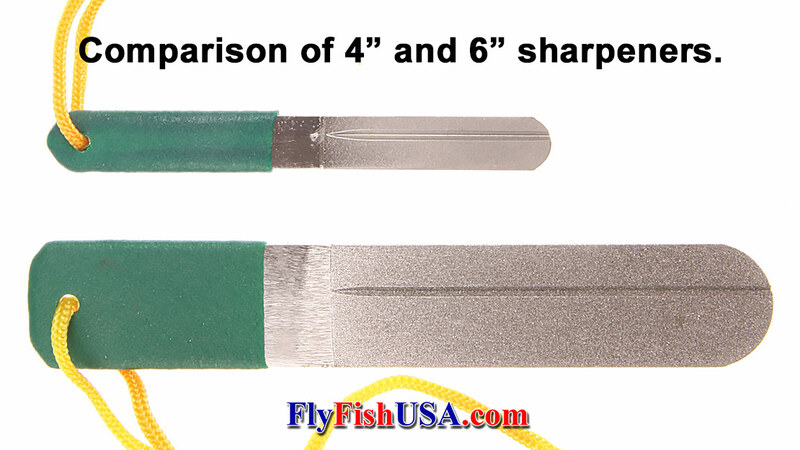 The best, most durable, and longest lasting fish hook sharpeners are made from stainless steel with a mixture of diamond dust at the surface. These hook sharpeners resist corrosion, even from salt water. The more use these tools get, the more diamonds are exposed, and the better they remove metal from the surface of hook points. If the hook is held at the proper angle to the sharpener a keener point will emerge with each stroke. Unlike a file, which will only sharpen in one direction, these sharpeners will work when stroked in any direction along the hook surface. Each Hook sharpener has a fine grit and course grit side. 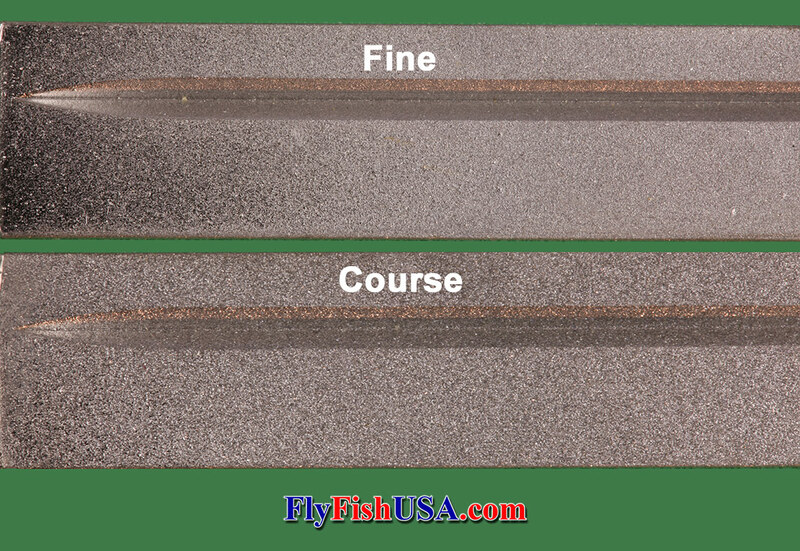 The fine grit on the 6-inch sharpener is slightly courser than the course grit on the 4-inch file. The big file is designed for use with larger hooks, and of course the small sharpener is perfect for tiny trout flies and an hooks large enough to land steelhead and salmon.